This was divine!!! Easy to throw together, the roasting of the veg really deepens the flavour. The leftovers are going to be most welcome this (cold) week. I served it with goats cheese & prosciutto paninis for a more substantial meal. This was a stunning centrepiece at our Christmas Eve meal. The texture was fantastic as was the flavour. The colour was absolutely beautiful thanks to the beetroot. I served it on rye bread covered in horseradish mixed with sour cream. Very impressed, considering how quick and easy it is to prepare. I cured the salmon last weekend for 36 hours, and as Jamie says it can sit happily in the fridge for up to 2 weeks afterwards. This was a fabulous Christmas Eve main. I cooked the spinach and cheese sauce the night before and assembled the dish in the morning. This is a good recipe when you need something special for a vegan at the holidays. It looks very pretty and tastes great. My only change was to add some chopped pecans. An issue was that the rice was nowhere near cooked after baking for 2 hours since there is so little liquid in the stuffing. My vegan son didn't mind but I found the crunch a little off-putting. I would suggest pre-cooking the rice, in which case you will need less since the stuffing amount was just right to fill the hollowed out squash. This was delicious ! I made half in my 6 inch springform and used Gruyere instead of cheddar because that is what I had..........I'm sure it is just as good with mature cheddar. Made this for Christmas Eve dinner for a change from my usually roasted small onions. Nice flavor with the mix of Parmesan and Gruyere. Super easy as you can make it ahead and then just stick it under the broiler for a couple minutes when you are ready to eat. Made this several times since Christmas. Great way to serve carrots as a side dish to a roast. I made these on a lazy, cold Sunday to go with a saucy pot roast & oven roasted carrots. They were delicious! They rose sky high as promised and they were crispy on the outside and "hollow and eggy" on the inside . The rimmed baking sheet under the muffin tin is essential. Note to self : yes - he said to not open the oven during the 16 minute baking time BUT you should at least turn the light on at 14 minutes as the tops did get a little darker than expected . Five stars. It has been a while since I've made my own curry paste, we have an amazing Thai place just up the road from us in Earlsfield so I normally buy the curry paste they make. The paste was fresh, herby and full of flavour - will be making this again! I missed the greens off the shopping list, so added in some frozen spring greens which worked okay, fresh would have been nicer. I deep fried the tofu in cornflour which is our favourite way with tofu. All in all a lovely dish to celebrate the end of the heat wave! I made this today for Christmas, but before I placed it in the freezer, I may have had a sneaky taste and it was really good. I am a little skeptical of how it will go once defrosted, but the recipe did say it was ok to freeze. 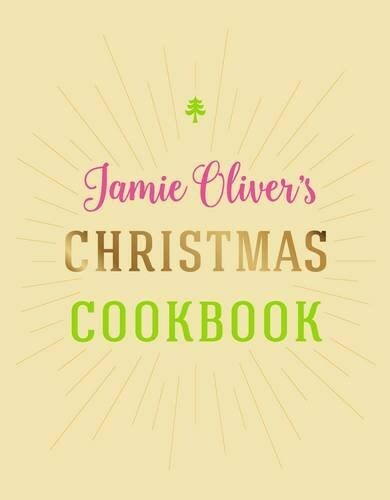 Jamie Oliver's Christmas Cookbook is packed with all the classics you need for the big day and beyond, as well as loads of delicious recipes for edible gifts, party food and new ways to love those leftovers. It's everything you need for the best Christmas ever. Inside you'll find all the classics as well as tasty alternatives, including: salmon pate, apple and squash soup; roast turkey, goose and venison; nut roast and baked squash; best roasties, baked mash, parsnips, glazed carrots, four ways to do sprouts; gravies and cranberry sauce, meat and vegetarian stuffings; turkey risotto; Christmas pud, trifles, pavlova; chocolate logs, Christmas cake, mince pies, gingerbread, baked camembert, smoked salmon bilinis, hot buttered rum and many, many more delicious recipes. "I've got all the bases covered with everything you need for the big day and any feasting meals over the festive period, as well as party fare, edible gifts, teatime treats, cocktails and of course, exciting ways to embrace and celebrate those leftovers. You'll also find all the deeply important technical info you need, such as cooking charts, and wherever possible, I've designed the recipes to be cooked at the same oven temperature, so you can be efficient with time and oven space, and it'll be super-easy for you to mix and match the different elements and build your own perfect Christmas meal.